Many families, unfortunately, disinherit a child with a disability, thinking that any extra assets in the child's name could lead to the discontinuance of or ineligibility for government assistance. Our firm specializes in the use of Special or Supplemental Needs Trusts which hold these assets for the child, without causing discontinuance of or ineligibility for governmental programs. These Special or Supplemental Needs Trusts can also be used to administer funds that the child with a disability may receive from personal injury suits, inheritance from other relatives or assets that the child may acquire before applying for SSI, Medicaid or other governmental assistance. 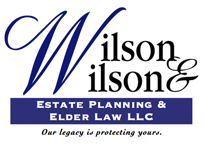 Due to our expertise in the area, our firm is often used as the Trustee of the Special or Supplemental Needs Trusts. The rules for disbursement from these trusts are complicated. Therefore, we make certain that the trust disbursements are made so that the child with the disability is never at risk of losing his/her benefits. TO SET UP A CONSULTATION, CONTACT US ONLINE OR CALL US AT 708-482-7090.